Stay tuned for all the latest developments, election results and reactions as Kosovo goes to the polls to elect a new government. Kosovo MP candidates went head-to-head on foreign affairs for BIRN Kosovo’s #DebatPernime series last week. Read our summary of what MP hopefuls said about border demarcation with Montenegro, the Brussels-facilitated dialogue with Serbia, and potential creation of Kosovo’s standing army. The US Ambassador to Kosovo Greg Delawie congratulated Kosovo's Central Election Commission, CEC, for organising successful general elections today. With the exception of minor incidents, the election process has proceeded smoothly. Polls will close at 7pm. Kosovo Police officers escorted a party-affiliated observer to the police station in the town of Suhareka in the Prizren district in the country’s south after he accepted five euros from an unknown party. The incident was confirmed by Admir Shala, the chief prosecutor at the Basic Prosecution in Prizren. 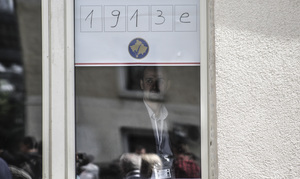 Kosovo Police detained a person in Prizren, southern Kosovo, after he tried to take a photo of his ballot paper. The incident was confirmed by Admir Shala, prosecutor at the Basic Prosecution in Prizren, who told BIRN that the suspect was alleged to have recorded the vote in order to receive a certain amount of money. Shala said that the arrested voter was released after being questioned, because the suspect only attempted to take a photo. 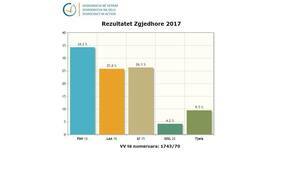 The exit poll from Klan Kosova says that the coalition between the Democratic Party of Kosovo, PDK, the Alliance for the Future of Kosovo, AAK, and the Initiative for Kosovo, NISMA has finished in first place with 40 per cent of the vote, while in a surprising turn of events, Vetevendosje has come second with 30 per cent. In third place, the coalition between the Democratic League of Kosovo, LDK, the New Kosovo Alliance, AKR, and Alternative have taken 27 per cent of the vote. Presenting the results, the head of the research team Shkelzen Maliqi, added a disclaimer that the survey might not be absolutely accurate and there is a 1.5 per cent margin of error. “The exit polls can be absolutely true, half true, or even completely wrong,” Maliqi said. Ramush Haradinaj, the candidate for Prime Minister of the PDK-AAK-NISMA coalition, which exit polls show as the winner of today’s snap election, gave a press conference after the polling stations were closed. “First I congratulate Kosovo citizens, all mechanisms, all parties for truly fair elections. I respect the sovereign for a clear decision, the trust has been given to PDK-AAK-NISMA,” he said. “The victory is convincing, more convincing than the exit polls. Isa Mustafa, former PM and the head of the Democratic League of Kosovo, LDK, reacted to the exit polls published by Klan Kosova. “We believe that the last survey is entirely untrue. It’s a survey ordered by the other parties. The ballot boxes are the only survey. We shouldn’t have biases about the results before votes are counted. 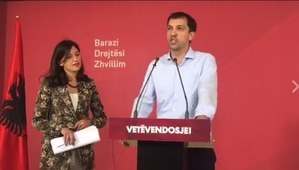 During a press conference of the opposition movement Vetevendosje, its officials stated that it has doubled its popularity. “We have 33-34 per cent of votes, which means we are the first entity in Kosovo where citizens decided for changes that will be done by Vetevendosje,” said Dardan Sejdiu, deputy mayor of Pristina and the organisation secretary of Vetevendosje. 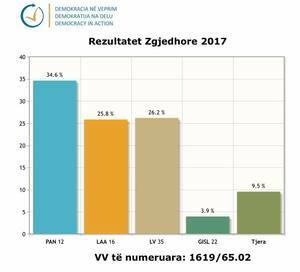 Former MP of Vetevendosje Albulena Haxhiu stated that Vetevendosje was mobilized “to protect the will of citizens from the coalition of panic”, referring to the biggest coalition between PDK-AAK-NISMA, which exit polls show took 40 per cent of the vote, finishing in first place. Kosovo President Hashim Thaci congratulates Kosovo on fair and just elections. PDK leader Kadri Veseli also took to Twitter to congratulate the Kosovo citizens. Both the Democratic Party of Kosovo, PDK, and Vetevendosje have announced victory parties to be held in the center of Prishtina tonight. 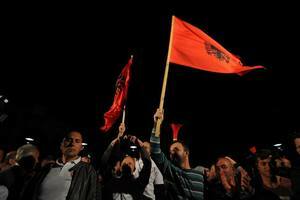 PDK will be celebrating at Skanderbeg square, while Vetevendosje announced a party at 10:30 pm at Zahir Pajaziti Square. Avdullah Hoti during LDK press conference after exit poll results. | Photo: Atdhe Mulla. 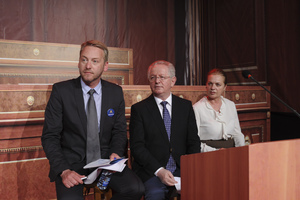 At an LDK press conference, Florian Dushi, acting deputy minister of justice and LDK member, commented on Klan Kosova’s exit poll, which puts the LDK-AKR-Alternativa coalition behind both the PDK-AAK-NISMA coalition and Vetevendosje. “The turnout was satisfactory, so far 10,000 more voters than in the last elections. Exit polls were organized unprofessionally. We believe that the will of the people is different from the results of the exit polls. It is not the first time that we see parties who celebrate prematurely. We will wait for the end of the process,” he said. Although voting was to close at 7pm, some polling stations remained open after the cut-off time to allow people who were still waiting in queues to cast their ballots. The counting is underway, with the Central Election Commission having announced that as soon as they collect the data from the polling stations, they will publish the preliminary results of the election. Srpska Lista: 3.5 per cent. Others 10.1 % per cent. 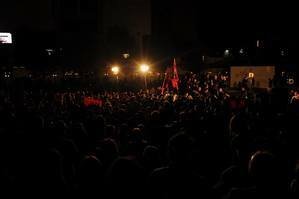 Prishtina is ablaze with party supporters: at Zahir Pajaziti square hundreds of Vetevendosje supporters have gathered, singing and waving the Albanian flag. Meanwhile, at the other end of the Nene Tereza boulevard, only a dozen PDK supporters have started gathering for the festivities expected to begin at midnight. While CEC has yet to announce official election results, the main ‘war wing’ coalition and opposition party Vetevendosje are celebrating their results in central Prishtina, less than 500 meters apart from each other. With CEC having counted less than 50 per cent of the votes, it is too early to declare the ultimate election winner. 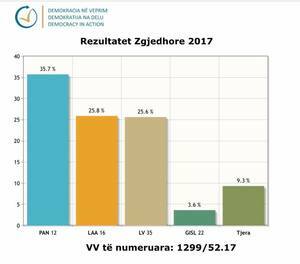 According to election observer group Democracy in Action, DnV, the PDK-AAK-NISMA coalition is leading with 33 per cent, while Vetevendosje is ranked second with 26.6 per cent, and LDK-AKR-Alternativa third with 25.3 per cent.